Jason Isbell has been weaving in and out of public knowledge for the better part of two decades. Many got to know him as one of the several rotating members of southern rock holdovers, Drive-By Truckers, during the years between 2001 and 2007, but it wasn’t until his fifth solo record, Something More Than Free—for which he won two Grammys—that his name became ingrained in national consciousness. As is usually the case, it takes one song, a critically acclaimed album and/or a Grammy or two to find some kind of public validation in the world of music. What I like about Isbell is his willingness to share the spotlight on the album immediately after his Grammy-winning solo record as he shores up his long-time band, the 400 Unit, which includes some spectacular musicians including his wife, Amanda Shires, who plays the violin in the band. The Nashville Sound furthers Isbell’s journey into the landscape of Americana and folk music. Many critics have already proclaimed that Isbell is creating his own sound, his own version of the genres in which he finds solace. I think elements of this are true, however, I doubt Isbell would make this proclamation for himself. He doesn’t seem that interested in reinventing the wheel, just setting it ablaze. Where Something More Than Free found its groove in its emotionally affecting lyrical poetry—and the most emotionally devastating lyric of 2015, “you thought God was an architect, well now you know, He’s something like a pipe bomb ready to blow”—and musical rawness, The Nashville Sound reaches for a fuller sound, something more akin to Isbell’s work with bands in the past. Where Something More Than Free was perfect music to sob along to while driving down I-40 (true story! ), The Nashville Sound seeks to seethe and rage against the scorching asphalt. One of the few quiet moments on the album is “If We Were Vampires,” which finds it’s emotional core in the acknowledgment that love between people only has meaning and heft whenever time on this planet is limited. Whereas “Anxiety”—a seven-minute epic—dives into the anxiety that we all feel that paralyzes and keeps us from enjoying what we have and those we love because of the fear that it will all come undone at any moment. With these words, Isbell gives a liturgy to the tired, the frustrated, the pain and the sorrows of our days, because he knows that hope always comes from the ashes, from the hard places, and from the seasons of despair. 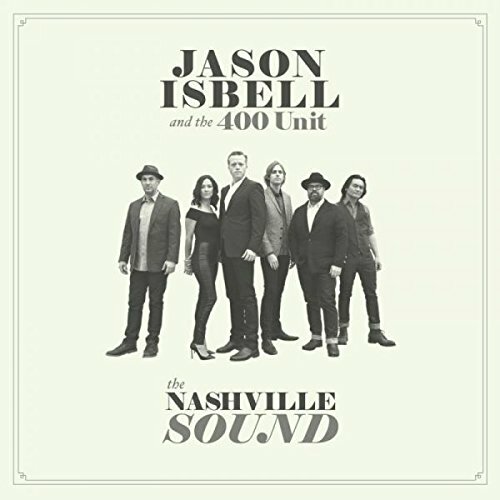 That philosophy is, in fact, what I think Isbell is calling “the Nashville sound” and it is new with every listen.